Toned down version of the original movie. At first I wanted to bring it back to the original structure Guillermo Del Toro had planned, but I felt ending with Bard was something of an anti-climax for a 2h30m movie. So I've used Gandalf's Dol Guldur scene to give the film a more explosive ending. 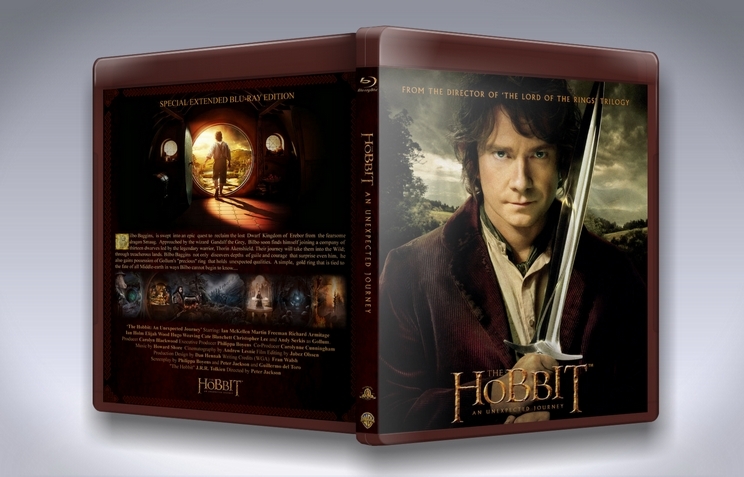 All the Dol Guldur scenes from The Desolation of Smaug have been incorporated into this film. First off, after seeing the Blu-Ray cover for the fanedit (and considering there is no DVD cover) I was actually surprised to see that the fanedit was PAL DVD quality. It wasn't bad but I took a point off due to the fact that the editor kind of lied about the format on the cover. No offence to the editor at all, I'm sure this is an honest mistake, I just wanted to point that out. The editing was not bad at all. It could have been better but I am satisfied with the editing. Now, the narrative. I thought the narrative was very good. I thought the things removed from An Unexpected Journey were fantastic and I thought how Beorn was taken out was done great as well. I did not read the Lord of the Rings but I do know that similarly, Peter Jackson and co. removed Tom Bombadil from the films for the same reasons: Moving on. 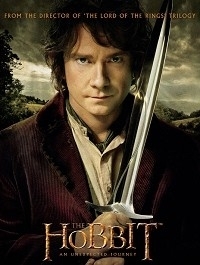 I don't know the details as I didn't read the books (I did read the Hobbit though). I did miss the songs and the great Stone Giants battle but I understand that they slow the pacing and add nothing to the story which was one of the minor problems of An Unexpected Journey (plus the Stone Giants battle was so deadly it's surprising how the company survives it). The trims here and there really help with the pacing too. I LOVED how the edit ended with the cliffhanger Sauron. It worked perfectly. Bard was still forgotten and it was still an anti-climax, maybe you could have could to Gandalf after "for which we will pay DOUBLE" but it still works. Also the disappearance of Azog and the sudden attack of Bolg and the orcs are confusing. Before Rivendell where they attack it is because Azog sent them, we learn that eventually. But what about in the barrel scene? Cutting the Azog/Bolg scenes makes it very confusing. Why is Azog no longer looking for Thorin? Why are Bolg and the orcs attacking the dwarves in the river scene? Why is Azog in Dol Guldur instead of looking for Thorin and Company? This is all explained in the original but here? Nope. EDIT: After I pointed the Azog/Bolg thing he reinstated these scenes back into the film saying he accidentally omitted them while cutting Beorn. I understand this and watching it again I have to correct myself and give more points. It's not a bad edit at all and I really enjoyed it, but as it is, my preferred versions are the An Unexpected Journey: Arkenstone Edition and my fanedit of the second installment: Fire and Water. Despite that, I liked this fanedit and I'm looking forward to There and Back Again.